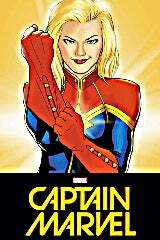 Among the massive roster of characters set to appear in next year's Avengers: Infinity War film, Captain Marvel will not be one of them. Speaking to ComicBook.com at a press event for Marvel Studios following the exciting Hall H panel at San Diego Comic Con on Saturday, co-director of Avengers: Infinity War Joe Russo ruled out the possibility of seeing the heroine in the first of a massive two-part Marvel Cinematic Universe culmination. "She's not in Avengers 3," Russo said. 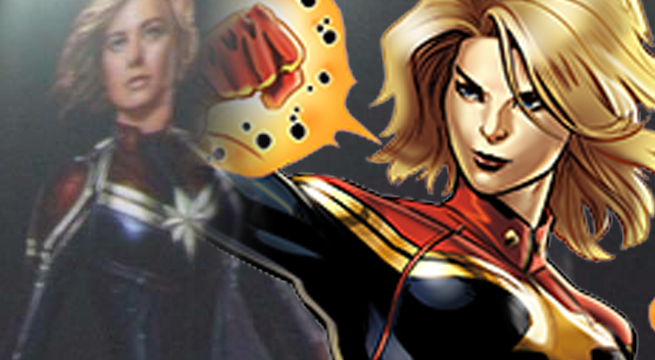 Of course, this leaves room for Captain Marvel to appear in the fourth Avengers film, which will follow the character's standalone film which several details were revealed for on Saturday. Nick Fury will be a key player in Captain Marvel, with the film "set in the early 1990's," and he has yet to lose his eye as he had by the time audiences met Samuel L. Jackson's portrayal. Given the fact that the Quantum-realm will play a role in both Ant-Man and The Wasp and Captain Marvel, both of which are films releasing between the two Avengers films, it is possible Scott Lang or a member of his Ant-Man team discover Captain Marvel locked away in the microscopic universe along with Michelle Pfeiffer's Janet van Dyne ahead of her appearance in Avengers 4. Having wrapped Avengers: Infinity War and marching straight into Avengers 4 in two weeks, the Russo brother is looking forward to doing another major ensemble flick which he promises will be different from 2018's, having already released footage to an excited Hall H crowd. "They're all big," Joe Russo said. "I think it's important for both [Avengers 3 and Avengers 4] to be distinctly different. It's important for the m to have different tones, different narratives, and to have different surprises for the audience. We've worked really hard with Markus and McFeely in ensuring that the films are tonally different and structurally different." Marvel’s Guardians of the Galaxy Vol. 2 and Spider-Man: Homecoming are both in theaters now, and will be followed by Thor: Ragnarok on November 3, 2017. After that Black Panther debuts on February 16, 2018, while Avengers: Infinity War hits theaters on May 4, 2018. Ant-Man and the Wasp is slated for July 6, 2018, followed by Captain Marvel on March 8, 2019.